The San Pedro waterfront revitalization continues with a new project unveiled June 16th by Los Angeles City Councilman Joe Buscaino. 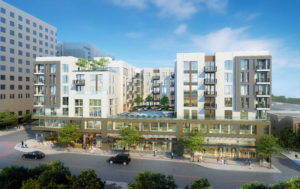 Nelson One is a 47-unit project planned to be built at 533-537 Nelson Street near San Pedro’s downtown shopping and arts district. 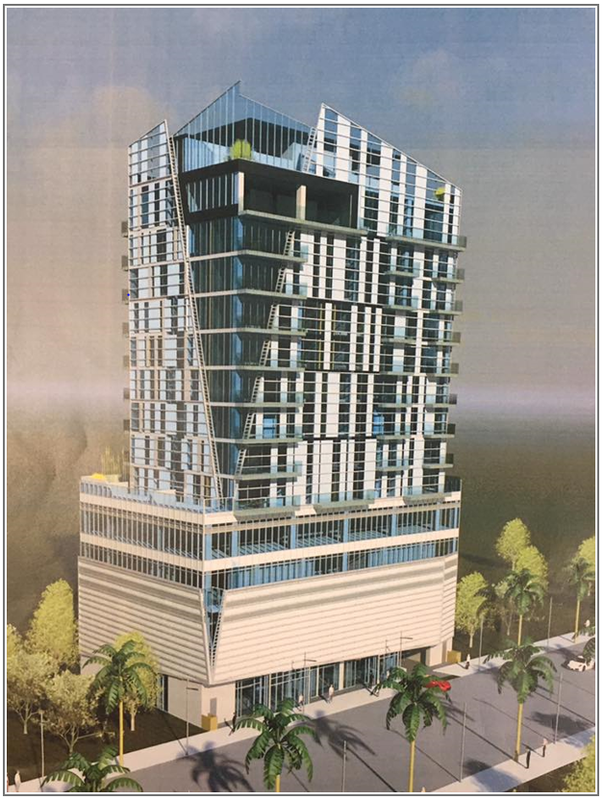 The contemporary glass high-rise will mirror the design of the 16-story Carmel Vue about a block away at 255 W. Fifth Street. 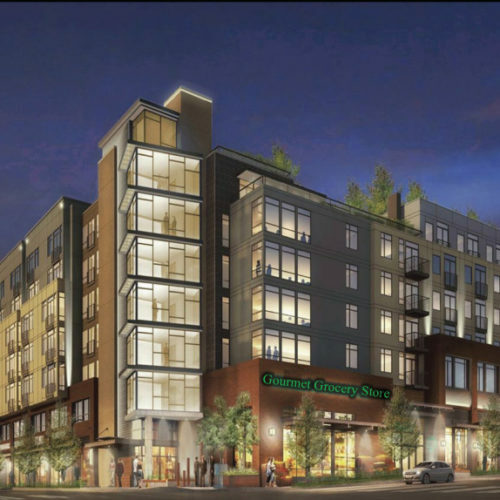 The proposed mixed-use project includes market-rate and affordable housing, joint use open-space, and street-level retail space, including space intended for a grocery store. Commercial units: 2Developer is looking for a restaurant to lease the ground floor space. Ideal restaurant would have a recognizable brand name restaurant, or a restaurant like Pappy’s Seafood with a history of the ownership’s success in other locations. Developer would ideally like to work with someone early on so that the design can be tailored to their liking. 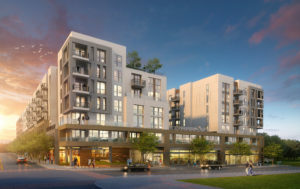 550 Palos Verdes project is under construction with Occupancy scheduled for early 2020. The seven story midrise building provides 375 for-rent market rate units in a mix of studios, one-, two-, three- and four-bedroom dwellings as well as 647 parking stalls and approximately 5,000 SF of commercial space fronting 6th street. The luxury apartments include high end finishes such as stone counters, vinyl plank floors, stainless steel appliances, NEST thermostats and most units have their own private balcony. Additionally, amenity spaces in the building include a pool and spa deck, three podium courtyards overlooking the water, a dog run, two story fitness center and personal training space, a golf simulator room, and a rooftop clubroom and adjoining sky-lounge. 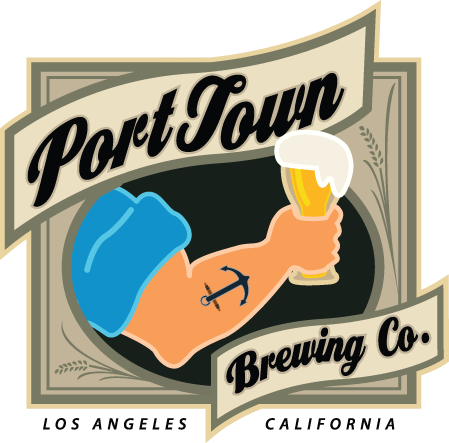 Opening in Fall 2017, Port Town Brewing Company will operate a production brewery and tap room, as well as offering brewery tours, beer to go and occasional special events. The group behind the project are owners of San Pedro Brewing Company, the oldest operating brewery in the City of Los Angeles. Port Town will be located in the 10,000 square foot historic Liberty Auditorium, built in 1921 as a dance hall and social gathering place. Years later, the building was called 7th Street Garage. It has been empty since the late 1990’s and the new brewery opening will bring new vibrancy and foot traffic to 7th Street in downtown San Pedro. 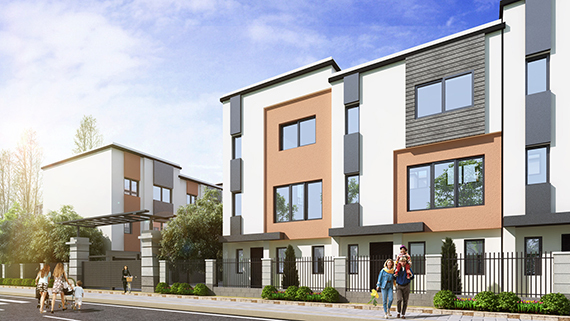 LaTerra Development plans to reposition the project by re-entitling the site for 24 fee-simple homes under the popular City of Los Angeles Small Lot Ordinance. The homes are planned to have direct access garages, and rooftop decks providing valuable private outdoor open space, taking advantage of views of the harbor and the magnificent Vincent Thomas San Pedro Bridge. 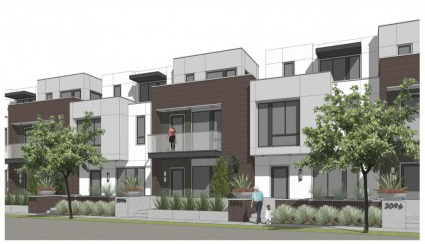 Mesa Properties is planning a 22-unit small lot complex. Located at 1803 South Mesa Street, the plot of empty industrial land measures 26,706 square feet, according to property records. San Pedro’s historic movie palace, the Warner Grand Theatre, could be getting a fancy neighbor. 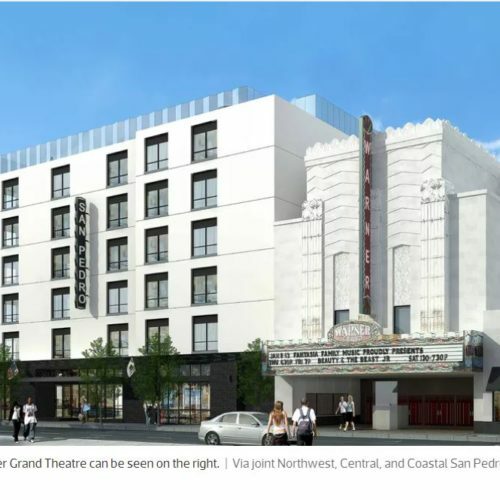 Plans presented at an October 17 joint meeting of the Northwest, Central, and Coastal San Pedro neighborhood councils show the seven-story boutique hotel that would rise on a now-vacant lot at the corner of Sixth Street and Pacific Avenue. 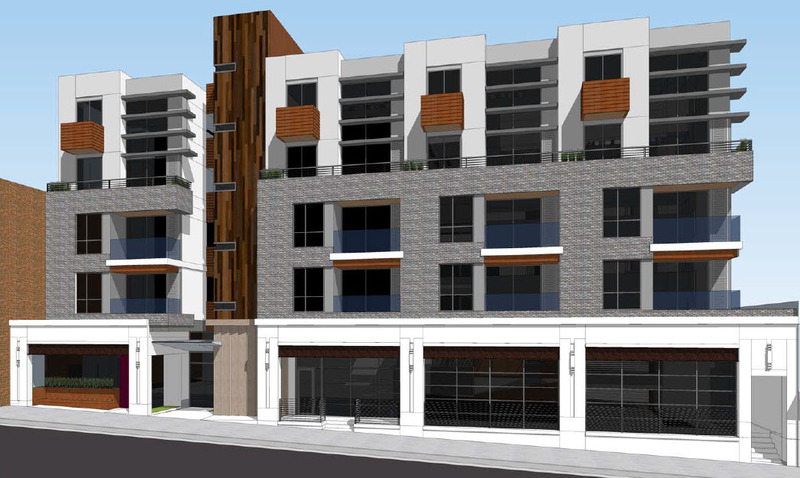 The project, which was unveiled last month in a presentation to multiple neighborhood councils, would replace a mid-block surface parking lot at 456 W. 9th Street. 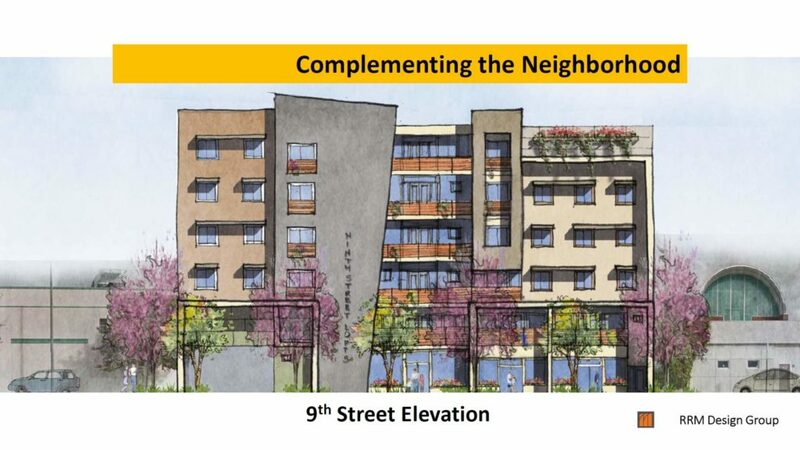 Plans call for a six-story building, which would contain 91 residential units above 4,900 square feet of commercial space, a 4,000-square-foot community room, and a 60-car parking garage at ground level.